DEKMETAL is engaged in the manufacture and supply of roofing and façade systems, including custom made sheet metal products. The company offers its partners professional designs of functional, technically sophisticated and aesthetic solutions, which meet the individual requirements of investors, architects, and project planners. A major advantage of the DEKMETAL company is its comprehensive service based on flexible terms of delivery and technical support throughout the entire implementation process. DEKMETAL dealers and technicians operate in Bohemia, Moravia, Slovakia, as well as in Germany, Poland and Benelux. They are thus able to respond very quickly to the requirements of implementation companies or building projects. 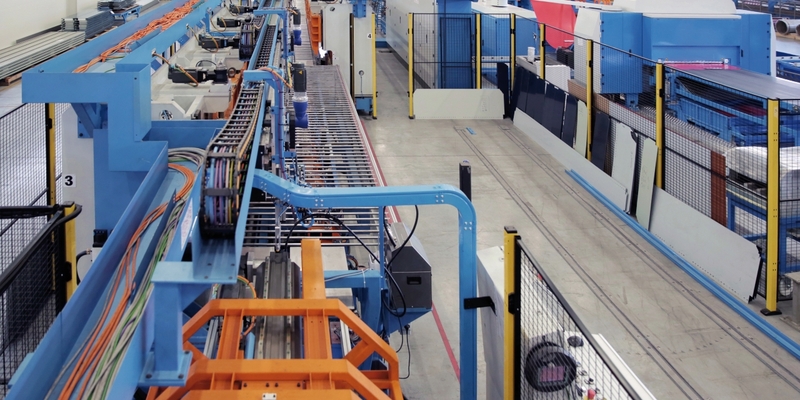 DEKMETAL features a unique new production line for finishing flat roof profiles, façade systems, and other atypical products made of sheet metal, according to the customer’s request, with a range of up to 6 m in length. Basic production possibilities: division, excision, and perforation of sheet metal up to 3 mm in thickness, cutting and bending up to 6 m in length, straightening out sheet metal, once unwound from the coils of individual parts, on straightening levelers. 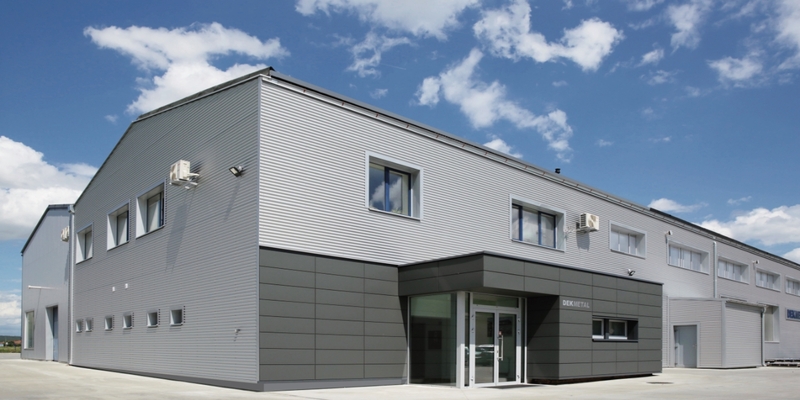 Production of regular sheet metal elements for façade and roof systems, special flashings, as well as atypical elements, are all custom-made, according to individual client expectations.